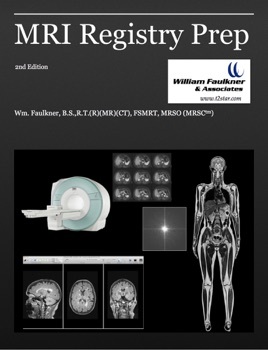 The MRI Registry Prep book is authored by Bill Faulkner, a well-known MRI consultant, author and MRI educator. 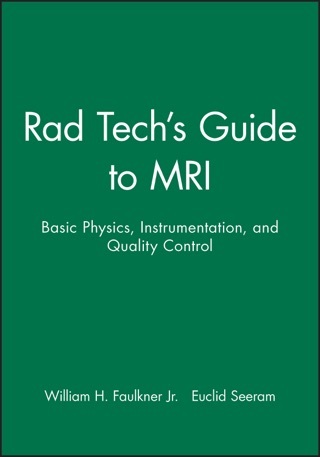 The material in this book was developed from his multi-day MRI registry prep course. 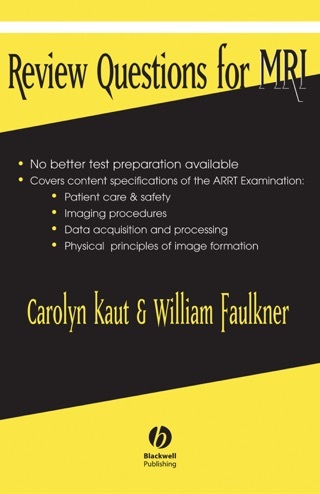 Topics in this book include: MR Hardware, Safety, Basic Principles of MRI, MR Image Contrast, Pulse Sequences, MR Data Acquisition, Imaging Options and Image Quality, MRA, Diffusion and Perfusion. 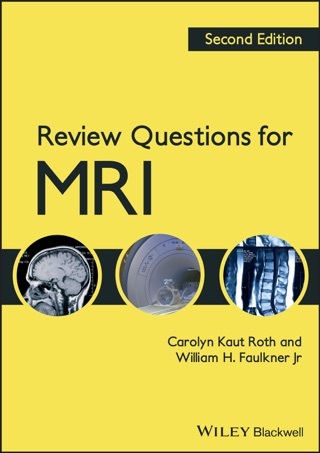 Throughout the book there are a total of 180 multiple choice self-assessment questions (along with an answer key). More Books by William H. Faulkner, Jr.